Domestic Violence: Are You In Danger? When we think about violence, we believe it to exist in the streets and outside the walls of our home. It is hard to picture domestic violence in our own home because the home is a safe haven and a protective environment where we seek shelter. But the reality is that violence in the home is a prevalent occurrence and happens more often than we would like to believe. 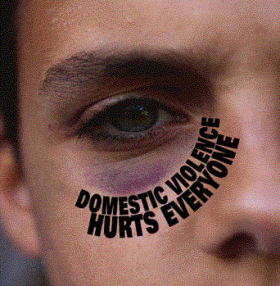 Domestic violence is most common towards women, but men are not immune. Women and men can both be the aggressors and the victims. When violence enters the home, the victim has options and should never feel abandoned or helpless. A great place to start finding help is to analyze the danger and risk of leaving. If the danger level is too high and there is a possibility of triggering more violence, find a safe way to escape to a safe house for domestic violence. Reporting the aggressor is a MUST. It is important to have the violence of the aggressor on record so that when needed, the police will have a better opportunity to protect the victim. Applies to you if you are: a person 18 years of age or older, or an emancipated minor, subjected to domestic violence by a spouse or former spouse, a present or former household member or someone with whom you have a child in common. This law also applies to you if you are subjected to domestic violence within a dating relationship, regardless of your age (under or over 18). You do not have to be married or living with the abuser in order to be protected. Finding help and therapy after a traumatic event such as domestic violence is important for the well-being of the victim. Some disorders that may arise after domestic violence can include but are not limited to: PTSD, severe depression, phobias, anxiety, and panic attacks. There are many times when helplessness is inevitable, however with a little motivation and a lot of courage, a bad situation can see its end. Please contact our Bergen County NJ or Manhattan NY offices of psychologists, psychiatrists, and psychotherapists for an evaluation and treatment at Arista Counseling and Psychological Services (201) 368-3700 or (212) 722-1920.